This one made #1 on Explore on 14th of November 2006. It's my first photo ever to make the top spot. Whee! :). Street on the way from Old Delhi to Connaught Place. 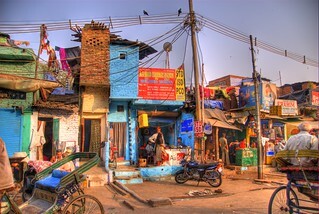 Picture taken from a moving rickshaw. November 2006.